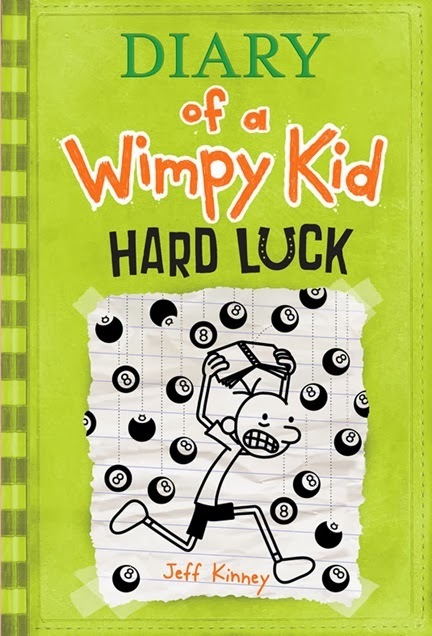 What happens when Jeff Kinney runs out of ideas? 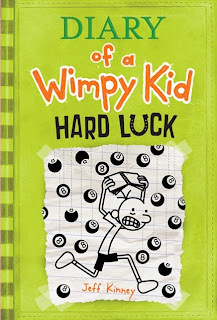 This was the question I asked myself while reading Hard Luck, the Wimpy Kid's latest outing. Greg and his friends are growing up and getting girlfriends--or more importantly, his friends are and Greg isn't. There are still plenty of laughs and middle school truths in Kinney's books. I've seen the "couples table" in many cafeterias, with its cast of characters that rotates weekly. Unfortunately, I was less entertained by the part of the book where he describes Easter with his family. It felt less like a narrative and more like a list of characters and their quirks. That's when I began to wonder how much longer the series will last. There's always mortification in middle school; I just hope that Kinney doesn't get lazy in his exploration of it.